Visit historical sites of the Incas and find 10 treasure items. Place the dinosaur in the correct dinosaur skeleton. What are the studies of archaeology. Puzzle game. Excavate 10 items from the awesome treasure. Search the battlefield for 11 medieval Weapons. Match all ancient coins cards in pairs one after another. Free online educational games about archaeology. Archaeology games to explore and study the ancient past. More than 20 online games, related to different archaeological subjects, that may be used for fun, interactive education. The archaeology knowledge games are small flash games, up to 1.2 MB, which include puzzles, cards, arcades and quest games for discovering interesting knowledge studied by the archaeology science, like treasures and fossils, made in a fun interactive way. The archaeology learning games are suitable tools for education, examination, references and recreation. They may be played in schools, at home, in classes. Minute to win it archaeology games. Discover archaeology with online gaming classes. Inca Treasure Quest - Find the lost inca treasure, searching secret locations. Geologic Periods Puzzle - Drag and drop the time periods in the correct geologic era. Geochronological Units Puzzle - Learn how much is one epoch, one era, one eon. Pyramid Types Puzzle - Sort the pyramids by year of construction. Ancient Pyramids Puzzle - Sort the ancient pyramids by date built. Archaeology Tree - Arrange the tree to indicate archaeology sub-disciplines. Thracian Treasure - Find the treasure of the ancient Thracians. East Europe Fossils - Dig out fossils from precambrian era. Geologic Time Scale Puzzle - Interactive geologic time scale. Dinosaurs Skeletons Puzzle - Place the dinosaurs in the correct skeleton. Jump and Dinosaurs - Help the archaeologist to find 10 types of dinosaurs. Dinosaur Skulls Puzzle - Place the dinosaur skulls on the correct dinosaur. Skulls Match Game - Open two same skulls one after another. Artifact Match Game - Fun card game to match ancient artifacts. Gems Match Game - Another matching cards game with gemstones. Coins Match Game - Play with ancient coins. Dig for Fossils - Excavate 11 fossils hidden underground. Dig for Skulls - Use the shovel to dig out 11 dinosaur skulls. Dig for Gemstones - Find the color of popular gemstones. Dig for Ancient Coins - Excavate the ruins for old coins. 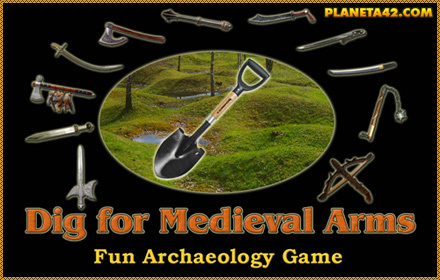 Dig for Medieval Weapons - Search the ancient battlefield and fin 11 rusty weapons. Archaeology Test - Online test for beginners. Atlantis Puzzle - 5x8 pieces puzzle with picture of the contraversioal Atlantis island. The "Archaeological Ruin" is a free online education web site with small archaeology games, played online in the web browser. All games are free and run on medium class computers, tablets and laptops, with installed flash player. They reward +1 Knowledge Level for every won game. Fun educational archaeology learning games, suitable for e-learning, online lessons and interactive classes. The collectible archaeology games (download versions), goes with build in player, but the levels are not saved on the website. Educational Multimedia Archaeology for all ages. Free to play and download without registration. Fun archeology games. Archaeology Puzzles - This collection includes small online games to drag and drop pictures of various objects of interest to archaeology and arrange them by different requirements. Example is the Dinosaurs Puzzle, where all dinosaurs must be placed at their correct skeleton. Archaeology Cards - This collection includes short games with playing cards about different archaeology branches. For now there is only one memory card game with many different subjects. Archaeology Arcades - This collection includes games, that are mainly played with the keyboard. Example is the game Jumps and Dinosaurs, where jumping over 5 dinosaurs the player gets its name. Archaeology Quests - This collection include fun adventure games to collect objects and use them on correct places to find treasures and glory. Paleontology Games - This collection includes all learning games related to the scientific study of life that existed prior to the start of the Holocene Epoch. Geology Games - This collection gather all educational games related to the solid Earth, the rocks and the geologic time scale. Future games will include all geologic periods in separated applications. Excavation Games - This collection includes all fun archaeology games to dig out different objects, items and artifacts with some archaeological value. 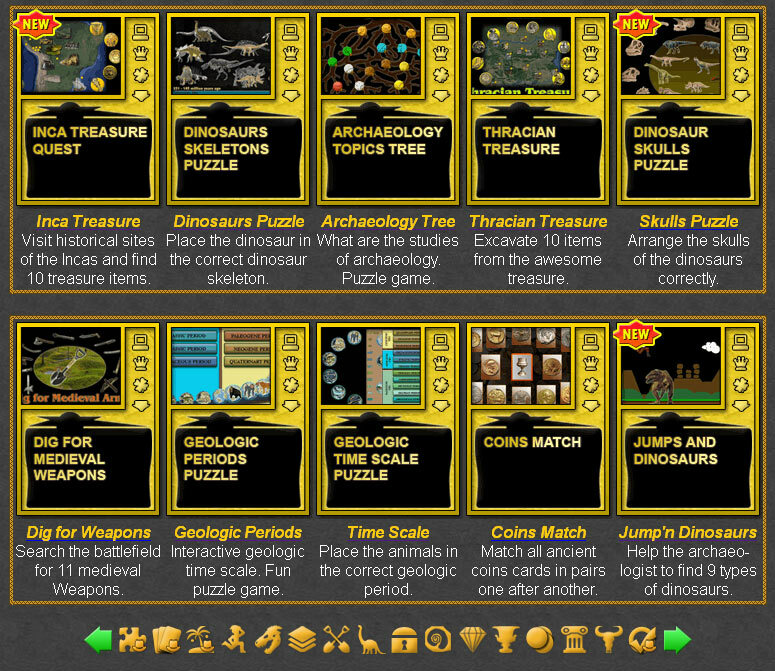 Dinosaur Games - This collection gather all learning games with dinosaurs in one place. Treasure Games - This collection includes all online learning games to discover and find treasures of different civilizations of ancient and medieval times. Fossil Games - This collection gather all interactive classes to discover and explore fossils, their names and locations. Mineral Games - This collection includes all fun games about gems and gemstones. Antique Games - This collection gather all fun educational games about collectible or desirable items, because of its age, beauty, rarity, or other unique features. Coin Games - This collection includes all fun archaeology games with ancient, medieval and modern coins. Ancient Games - This collection gather all fun educational games related to the ancient history of humans. Skeleton Games - This collection includes all fun games with dinosaur skeletons and skulls. Archaeology Tests - This collection includes fun tests with integrated valuation system for archaeology beginners. Make the kids solve them and write the school mark after the test in fun ancient history classes. The Archaeological Ruins includes: minute to win it archaeology games, archaeology games for pc, archaeology simulation online games, interactive archaeological excavation dig, simulated archaeological digs for students, archaeology video games, archaeology activities for classrooms, archaeology kids games, geology games for adults, geology games for middle school, geology for preschoolers, free geology games, geology for beginners, archaeology games in classroom and more than 20 online games related to different archaeological subjects, that may be used for fun, interactive education and examination. 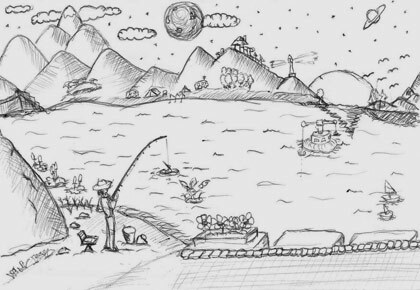 Here is the blog with the Mysterious Collection of Archaeology Games.